Licensing refers to the process of getting permission from a higher authority. 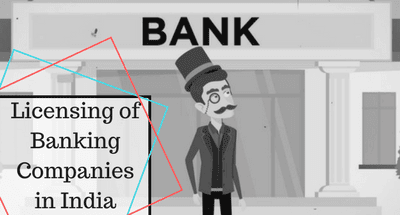 Here licensing of banking companies refers to the process of getting permission from the Reserve bank of India to start banking companies in India under the banking regulation act 1949. No Company should be carried banking business in India without the license from the Reserve bank of India. It had only the authority to give license to banking business in India. On the commencement of banking regulation act 1949, every banking company before going to start their business should apply for the license in writing to the Reserve bank of India under the sec 22 of this act. At the time of commencement of this act, the banking company was in existence, nothing in the sub-sec (1) should be deemed to prohibit the company from carrying on banking business unless until it was granted in the pursuance of sec 55 of this act or is by notice in writing from the reserve bank that they couldn’t be granted to it. These notice in writing should be granted by the Reserve Bank of India only after the expiry of three years or such other period notified in regulations. The banking company must be had the efficiency to pay its present and future depositors accrual amount at their claims. The affairs of the banking company should not be conducted in a manner detrimental to the interests of its present and future depositors. The general character of the proposed management of the banking company would not be prejudicial to the public interests of its present and future depositors. The banking company should have adequate capital structure and earning prospects. The public interest would be served by the grant of the license to the banking company to carry on banking business in India. With regard to the banking facilities available in the proposed principal area of the operations of the banking company, the potential scope for the expansion of banks already in existence in that area and another factor for the grant of license should not be prejudicial to the operation and consolidation of the banking system consistent with monetary stability and economic growth. Any other condition in consultation with the RBI, the fulfilment of that condition should not be prejudicial to the interests/public interests of the depositors. Before granting the license to the company incorporated outside India, the Reserve bank of India should ensure that the carrying on banking business in India should be in the public interests and also RBI might be satisfied this condition by way of inspecting books of that company or otherwise the conditions specified in sub-section (3) are fulfilled. 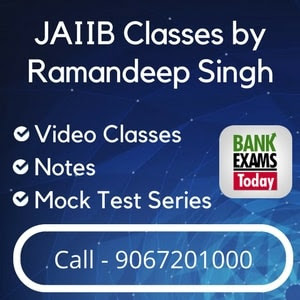 The government or law of the country in which that company was incorporated should not be discriminated in any way against the banking company registered in India and that company should comply all the applicable law applied to the banking companies incorporated outside India. The reserve bank of India might cancel license granted to the banking company at any time if the company will cease to carry on banking business in India or if the company at any time will fail to comply the conditions specified in both sub-section (1) and sub-section (3). Before cancelling the license granted, the Reserve bank might give opportunities for taking necessary steps to fulfil all the conditions specified. Any banking company will apply for an appeal to the central government within 30 days from the date on which the decision for cancelling their license by Reserve bank had been communicated with them. Here the decision of the central government should be final in which there is no appeal for the banking companies.